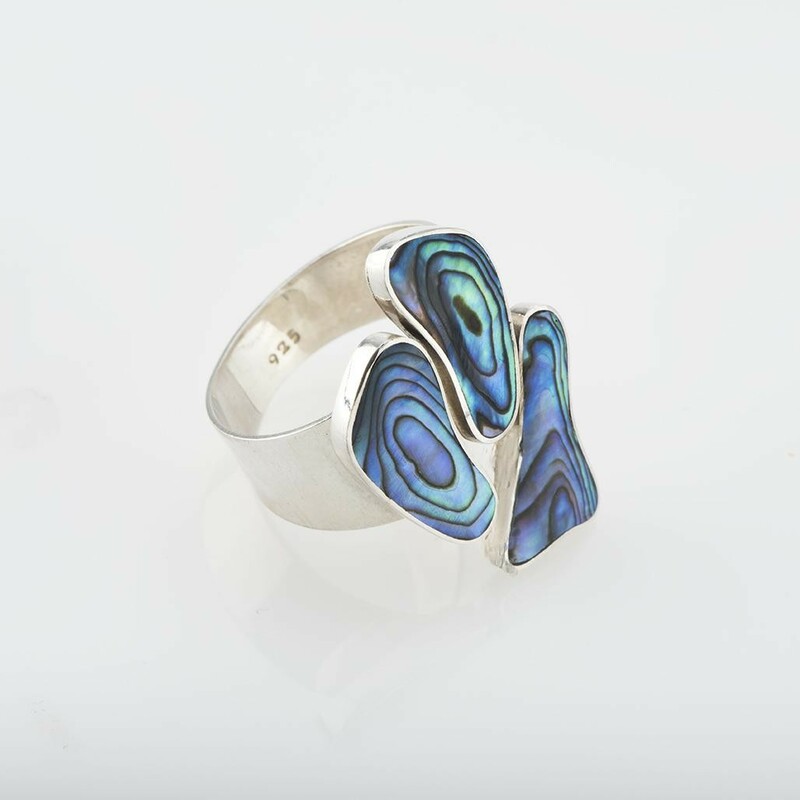 Natural Paua Footprint design ring with multi-colored hues is artisan jewelry crafted with sterling silver. Three colorful stone overlays are so impressive to suit you from the promise rings collection creating a beautiful charisma. Natural round sparkles emitted by this silver jewelry fas... Read more. Natural Paua Footprint design ring with multi-colored hues is artisan jewelry crafted with sterling silver. Three colorful stone overlays are so impressive to suit you from the promise rings collection creating a beautiful charisma. Natural round sparkles emitted by this silver jewelry fascinates in multitude.